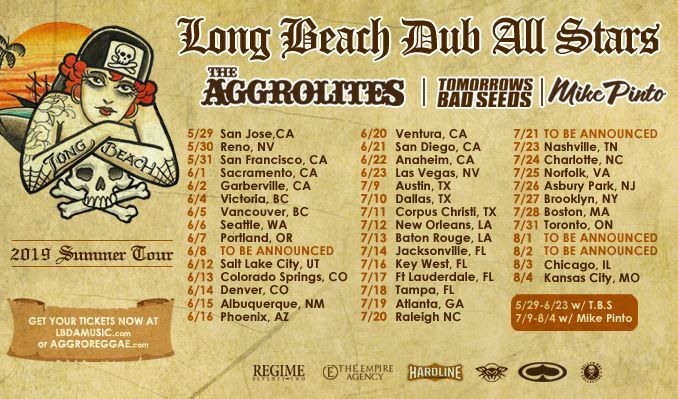 Long Beach Dub Allstars have announced their summer tour and needless to say this is going to be a fun one. They will be heading out with some excellent bands including The Aggrolites, Tomorrows Bad Seeds and Mike Pinto. Tomorrows bad Seeds will tag along 5/29-6/23 and Mike Pinto will head out starting in Austin 7/9-8/4. According to the poster more dates are still to be announced so keep checking back but as of now this gets the Summer off to a real nice start, announcement wise.